We're at a point in the Non-Metallics class where we have a composite project. 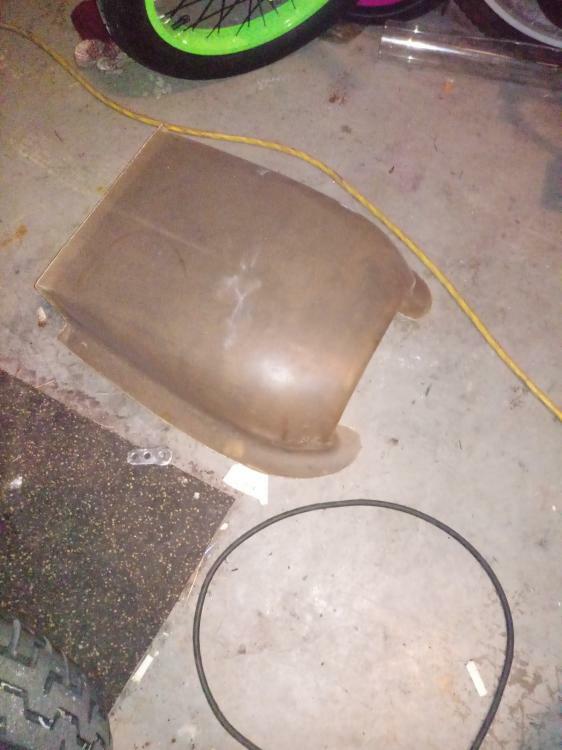 Since I dragged all the equipment out I decided to undertake repair of the engine cowling where the exhaust has been rubbing and burnt/cracked it. 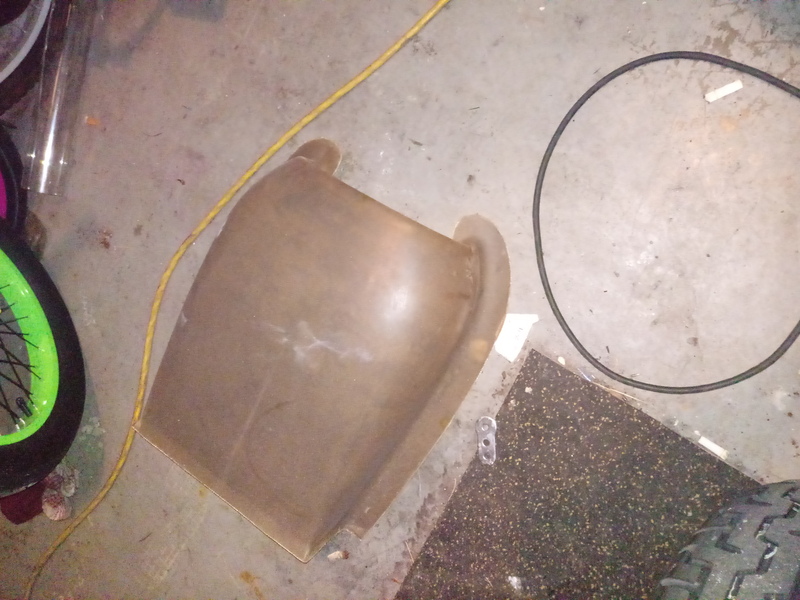 The builder added a blister to the cowl, but it wasn't large enough and not exactly placed correctly. I removed the cowling and wrapped foam around the exhaust and then reinstalled the cowl. I carefully nipped away at the damaged area and estimated the clearance I would need. This shot was taken after some time spent at the downdraft table removing the paint, bondo, and heat shield from the inside. The extra space on the right was where the original blister was located. Wish I could send you my top cowl half! I need to do a cutout and "bubble" to allow more room for my new motor, but haven't figured out how to tackle the glass work yet. I wracked my brain trying to think of something readily available that would work as a form. I settled on a section of flexible clothes dryer vent hose that I could bend in a compound curve. I reinstalled the cowling and used a screw and Gorilla Duct tape to hold it in position. A couple other engine parts hold it up. The plan is to use some mold release on the tape I wrapped around the dryer duct and then fiberglass it on. That's for tomorrow. Thanks for the pics and ideas. I used an oil base sculpting clay to build up the clearance on my cowling. It can be shaped and smoothed out to the exact shape desired. 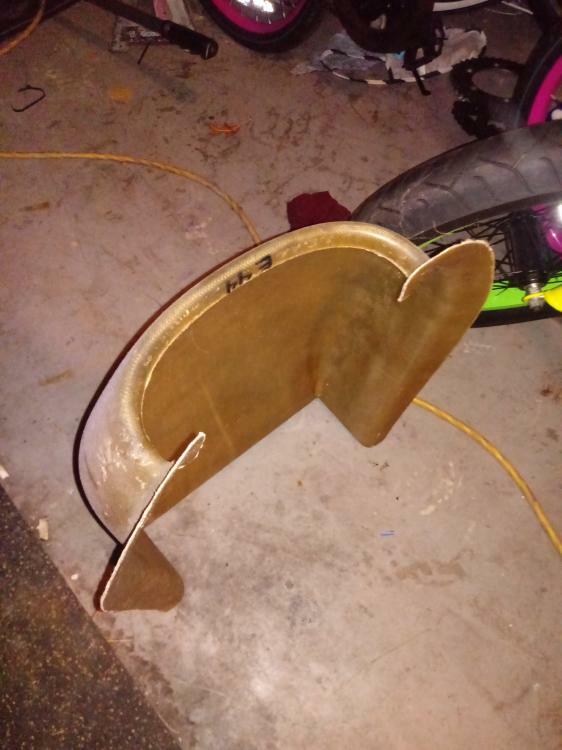 Lay one layer of glass over the the clay and lapped over onto the cowling about an 1", let cure, remove and completely clean the clay from the back side, lightly sand and apply two layers of glass on the back side and lap onto the existing cowling about an inch. 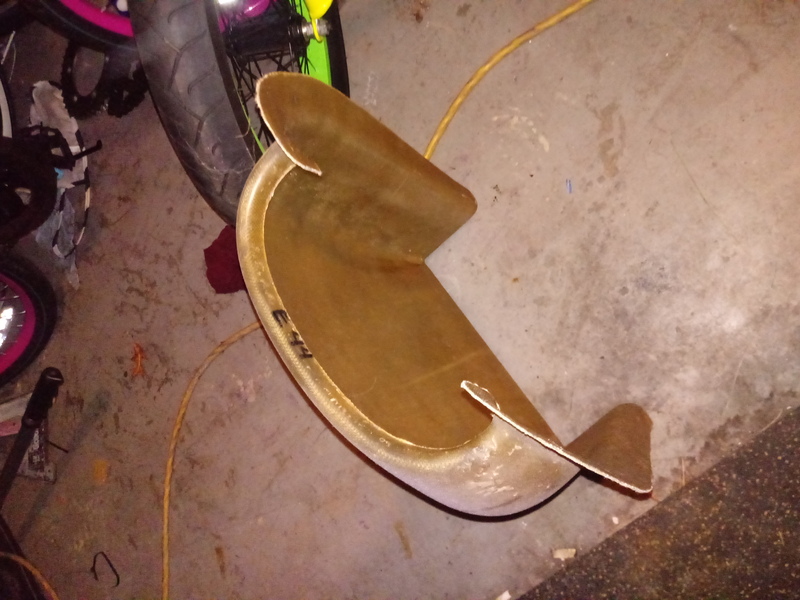 So after my pseudo-blister cured I removed it from the vent hose and worked it to fit into the cutout section of the fairing. With a little Gorilla Duct Tape, clamps and strip of aluminum I got everything secured in place to mold it in. I chopped up some fiberglass mixed with resin and packed it in around and in between the blister and cowling. I've never used peel ply, but found it worked as well as PVA film. I laid it over the wet concoction and smoothed it out with an acid brush. After drying, I peeled it off and was more than satisfied with the results.